We have done our own Dyno Tests and have posted results on our forum (link located at the top of this page under "forum"). This listing is for the module without the remote controller. You can add the remote controller later, but you will need to send us back your module and pay an additional $150 (for the remote, reprograming and shipping). If you are thinking about whether or not you should get the module with the remote we would recommend the complete system. We have it on our own ABARTH cars and recommend the systems with the remote. You can select to turn off the module and have the car operate at the stock factory setting. You can select to up the power of the car to a more aggressive tune that will provide your ABARTH with an increase in power and torque or you can choose to select a third level which the most aggressive setting maximizing the power upgrade to max (watch out!). By adding on the Radio Control Module you will have full control of the performance of your ABARTH at your fingertips. 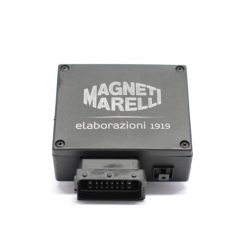 This is also a plug and play unit that is designed to integrate seamlessly with your Magneti Marelli Engine Control Module. The module is available at an additional cost. 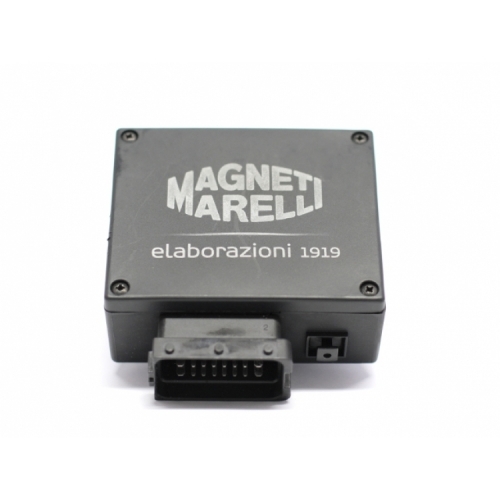 We have this optional remote controller with the Magneti Marelli Engine Control Module on our own ABARTH and can truly tell the difference. The difference is night and day and in our opinion the optional remote is a great option.